If you have been a follower of the gymnastics sport for a long time, you might have witnessed the dominance of Russia in the sport. At the recently held Rhythmic Gymnastics World Championships which took place in Stuttgart Germany from September 9 to 13, two remarkable Russian gymnasts — Yana Kudryavtseva and Margarita Mamun continued their country’s winning trend that was initially built by Alina Kabayeva, Irina Chashchina and Yevgenia Kanayeva. So, you might wonder, why are Russian gymnasts so successful? The Russian rhythmic gymnastics team has always been filled with numerous top quality gymnasts, which grants the team’s star the privilege to be “backed-up” by the other gymnasts. One of the most distinguishable example of the aforementioned “backing up” – which is also considered as a healthy competition – took place during the 2000 Summer Olympics held in Sydney Australia. After Alina Kabayeva — a Russian gymnast which was admired by the people for the individual-around gold medal — accidentally dropped her hoop during her routine, which left her with only a bronze medal, another Russian gymnast, Yulia Barsukova, came to the rescue and won the gold medal in the hoop competition. All of the Russian athletes who were training under Irina Viner, the head coach of the Russian national team and the Russian Rhythmic Gymnastics Federation president, is required to learn one rule. “If an athlete locks herself into her grandeur, her stardom, it is bad for everyone and, above all, for the athlete herself,” head coachViner stated in an interview with Russian daily Rossiyskaya Gazeta. Russian gymnasts show a great respect for athletes that came from other countries. However, during the competition, they try not to compete with anyone else, and instead attempt to conquer themselves. 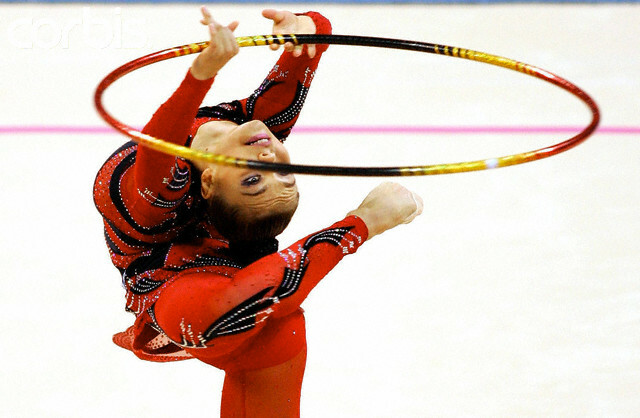 Amina Zaripova, a retired rhythmic gymnast and coach, pointed out the significance of self control while commenting on the success of her student Margarita Mamun, who was a gold medalist in the individual all around event, as well as all of the four individual events – hoop, clubs, ball, and ribbon at the 2015 FIG World Cup circuit in Rhythmic Gymnastics held in Kazan earlier this year. “I loved everything about Margarita’s performance at the World Cup in Kazan, including her mental condition,” Zaripova told the Ves Sport news agency. Russian athletes have consistently set the bar high. As leaders, they set the pace in the individual and group events regardless of the changes in the lineup of their team. The Russian team who participated at the group event of the 2015 World Championships held in Stuttgart was composed of Anastasia Maximova, Diana Borisova, Darya Kleshcheva, Maria Tolkacheva, Sofia Skomorokh and Anastasia Tatareva. Tatyana Sergayeva, the new coach of the group explained the reason behind it. “We never go the easy way. The Russian team is the leader, so it’s supposed to be head and shoulders above everyone else. We need to work so hard and later perform so well, that all the contestants should say in the end: ‘Russia is out there, we cannot catch up with them!’” she stated. Additionally, Margarita Mamun said that it was also made possible thanks to head coach Irina Viner, stating that Viner, without a doubt, knows how to handle the athletes properly. Have you ever wondered if your child has what it takes to be the next star in the field of gymnastics? Why don’t you enroll your child to a school that can provide him/her the highest quality of training and the most fun way of learning gymnastics for kids? Visit the official website of Bianka Panova Academy to learn more about what the company can offer for you! Want to read the most recent news about gymnastics? Then you should like and visit the official Facebook Page of Bianka Panova Academy to get your daily dose of updates regarding gymnastics.